Because I go hiking 4 times a week after work there are few crucial things I must keep in mind. First, keeping hydrated. Second, keeping my skin moisturized and protected from harmful UV rays. Lastly, I need to make sure I give my body adequate rest and allow it to heal. Perfectly clear right? How about I tell you how to make something for soothing the aching muscles and for moisturizing the skin? The secret is: magnesium lotion. There’s no doubt that this mineral is important. However, the typical diet in America does not provide enough amount of magnesium for the body. In average one adult person is provided with only 66% of the necessary daily amount of magnesium. Read this article to find out some of the most common signs of magnesium deficiency. Therefore, in which way we can get the necessary amount of magnesium? One way of providing the body with enough magnesium that you haven’t though of is taking it topically. Dr. Norman Shealy, a member of the American Holistic Medical Association, made a study with participants that have used magnesium flake foot soaks. They also used magnesium oil topically every day. The results have shown that at 75% of the participants there was increase in the body’s amount of magnesium that was significant for a period of only four weeks. 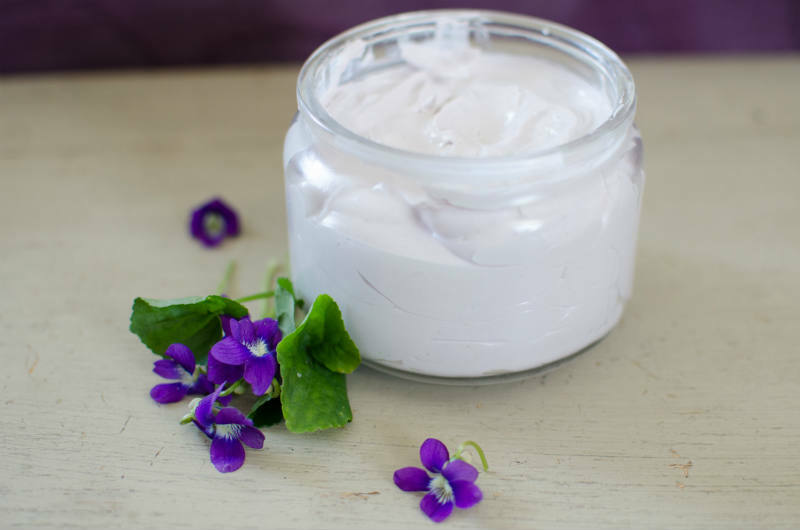 Instead of a store-bought moisturizer, try this natural moisturizing body butter instead. Not only does it moisturize and calms down the muscles, it can also be a form of sunblock that is natural. The natural SPF range of avocado oil and shea butter is from 4 – 10. Pour water that is boiling and magnesium flakes into one container. Start stirring until it is dissolved. Let it cool before continuing. Use one small pot. Pour water to fill it about ¼ and let it boil. The heat should be reduced to a simmer and to fit to the used bowl that is pyrex or to a mixing bowl from stainless steel that is put on the top in order to get a double-boiler. The bowl shouldn’t reach the water. Add all ingredients except for the magnesium oil to the bowl and let them melt together. Put the bowl away from heat and let cool to room temperature. When well-mixed, cool in the fridge for 15 minutes. Blend the mixture again. It is Use a hand blender to blend the mixture. Incorporate slowly the magnesium oil. The magnesium lotion (body butter) you have made can be used for two months. For best results, store in the fridge for cooling relief.